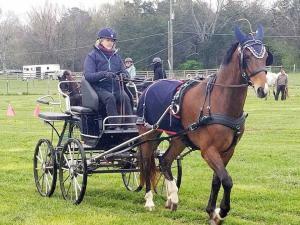 Middle Tennessee Carriage Club (MTCC) set a goal to hold an early schooling competition to allow members to dust off their harnesses and carriages and put in a casual practice for cones and pleasure classes. Considering we did our January meeting in our shirt sleeves, it seemed reasonable to pick an April date for this event. Jeanette Haislip generously offered the use of her property in Nolensville, Tennessee. Mother Nature had other goals for April 7, 2018, with precipitation including rain, sleet and snow showers. We felt that a delayed start was our best compromise. 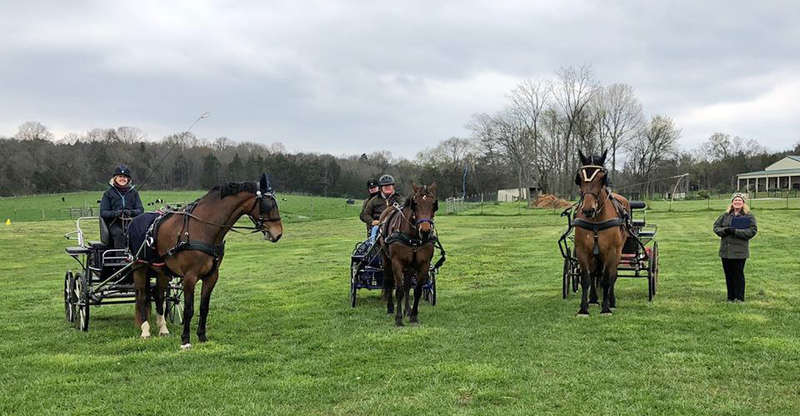 So at 1:00 p.m. we kicked off with a turn-out of five hardy horsemen and horsewomen, and some truly wonderful volunteers. The class list consisted of three cones classes and two ring classes – giving everyone a chance to exercise assorted skills for rewards in each class. 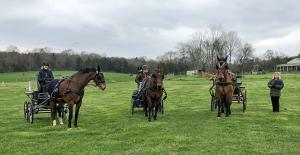 Several participants brought out horses for their very first competition. The venue was perfect with plenty of space to park, hitch, and work horses without being too crowded. Ardeth Obenauf was judge for the ring classes. Afterwards, she explained her placings, giving people tips on what she sees as important. Everyone really enjoyed the cones classes, especially the speed ones. One of the new-to-carriage-competition members, Earl Burkett and his gelding Easton, put in a nearly perfect time and clear course on the accuracy cones class. Kate Bushman and her green mare Jewel had the fastest time in the Open scurry and Fault-and-Out classes. 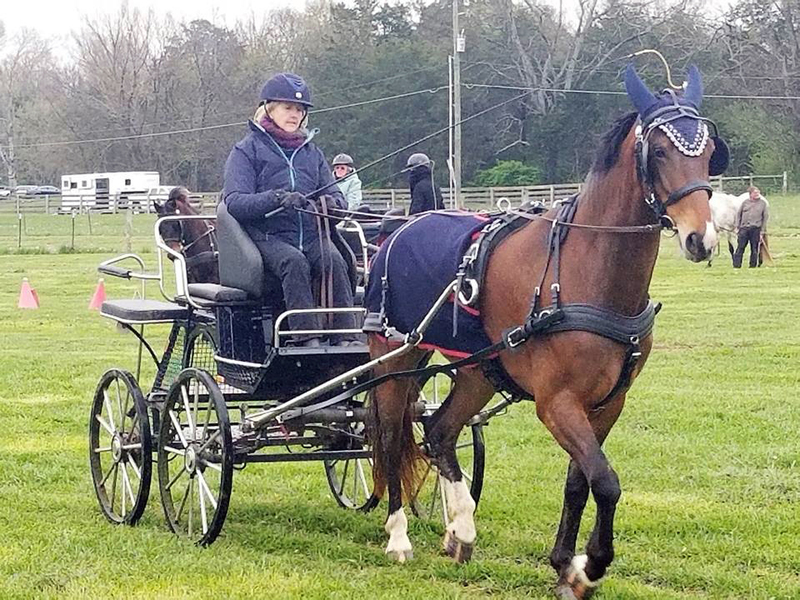 Laura Lawson and her gelding Barney made it all look easy and elegant in the Working class. And Kate Bushman took the Reinsmanship top award. 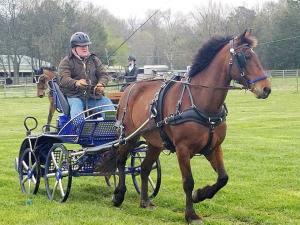 Also showing were Claire Root and her Morgan mare Canton’s By Design, and Greg Walcott and his Thoroughbred gelding Milton.